Chelsea interim manager Guus Hiddink says that he is not sure what the future holds for after leaving the club for a second spell. The Dutchman has been at Chelsea twice in his career but both were as the interim manager. In the first instance, he was reluctant to give up his role as the Russian national team boss in favour of a permanent move to Chelsea. Now, his age appears to prevent him from taking over at the club on a permanent basis. A much younger Antonio Conte has been announced as the permanent replacement for Jose Mourinho starting from July. Guus Hiddink has revealed that Leicester City manager Claudio Ranieri thanked him for helping the club in the Premier League title for the first time in a remarkable achievement. Leicester City were looking to win the title if Tottenham dropped points against Chelsea on Monday night. Leicester could only manage a draw with Manchester United on Sunday, but they still recovered just two points in order to seal the title with two games left. Even then, there was some nervousness surrounding Claudio Ranieri in recent days. The Italian revealed that he will not be watching the game between Chelsea and Spurs since he would be on the plane to Italy. Chelsea youngster Jeremie Boga has dismissed claims that he moved to the English club too soon. Since joining the West London outfit from Marseille as a 12-year-old, Boga has been unable to make the consistent jump to the first-team. He has been out on loan at various clubs since signing a professional contract with the blues. However, the 19-year-old believes that he and his family do not regret making the move to West London. He is currently back in France withRennes – on loan until the end of the campaign. He is one of the several players playing for other clubs from Chelsea’s books. Branislav Ivanovic claims that Chelsea players are extremely lucky that owner Roman Abramovich only sacked manager José Mourinho. The Portuguese was relieved from his duties after less than three years in charge of the club. Unlike in the last few campaigns, the club tried to resist making a change in the middle of the campaign. After witnessing Chelsea slip into a relegation fight towards the end of 2015, Abramovich had no other option but to change the management. 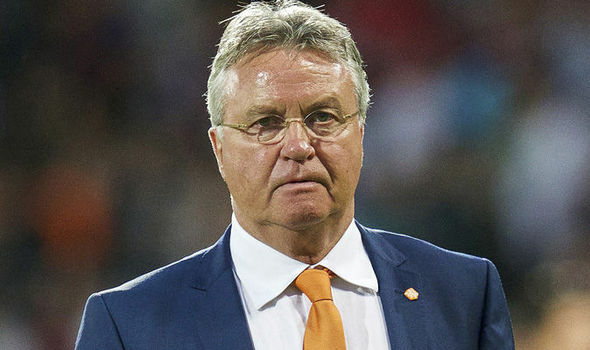 After the arrival of Guus Hiddink, things have been much better at the club. Will Chelsea swap Ivanovic for Radja Nainggolan? Chelsea and AS Roma are rumored to be having discussions with the possibility of having a swap deal where Branislav Ivanovic makes a move to the Italian club while Radja Nainggolan is believed to be making his way to the Premier League side Chelsea when the summer transfer window re-opens in a few months’ time. Read more about Will Chelsea swap Ivanovic for Radja Nainggolan? Branislav Ivanovic’s future at Chelsea looked increasingly suspicious since the defender had only a few months left on his contract. However, he has now signed a 12 month extension with the London outfit meaning that he will be at Stamford Bridge until the end of the 2016-17 season. Ivanovic has been a permanent fixture in Chelsea’s first team over the last few years. Few would have imagined his astronomical rise since joining the club in a £ 9 million deal from Lokomotiv Moscow in 2008. Ivanovic has already won every major title with the West London outfit and is now looking forward to another period of glory. Arsene Wenger has spoken about the importance of defender Nacho Monreal, who has become an important part of the Arsenal first team in the last couple of years. The Spaniard was a relatively unknown product when he came to the Emirates stadium for around £ 8 million from Spanish outfit Malaga. Given the intense competition for the left back and right back positions in the Arsenal team at the time,Monreal was not expected to be the first team regular. In fact, he made only 10 league appearances in his first season at the club. This has consistently improved over the years andMonreal has already made 20 appearances in the league this season. Chelsea’s poor form recently cost striker Diego Costa his first-team spot. The striker had been named on the bench for the last two matches and this is a major warning to the rest of the team according to defender Branislav Ivanovic. The Serbian remains as one of the few underperforming players to have never been on the bench this season. Ivanovic has missed a couple of matches this season but it has been only due to injury. Costa has not taken Jose Mourinho’s decision lightly, but the Portuguese manager has stated that almost every top player like Terry, Fabregas, and Eden Hazard has spent time on the bench. Eden Hazard was one of the key performers for Chelsea the previous season. Not only did he net 14 goals himself, he influenced another 10 goals with assists and made sure Chelsea attained Premier League glory for the third time under the Portuguese talisman Jose Mourinho. But, the same spark has not been there so far this summer as far as Hazard is concerned and that has rubbed off on Chelsea as a team. The Blues, who had been dominant right from the start to the end in the Premier League 2014-15, are currently finding themselves at the 13th position in the points table with six defeats already to their name. Whilst they started off as favourites for the title, they are now at horse racing odds to even make the top four - drifting out as far as 50/1 on some exchanges. Former Manchester United defender Gary Neville has slammed the performances of Chelsea defender Branislav Ivanovic following the club’s latest loss against Crystal Palace. The blues have begun their title defence in very poor fashion after already conceding an eight point advantage to title rivals Manchester City. The 2-1 loss against Crystal Palace may only be the second loss suffered by Jose Mourinho at Stamford Bridge, but it is immense in the context of the league title even though the season is only four games old. Neville knows a thing or two about playing as right back after he did so spectacularly for several seasons with United.